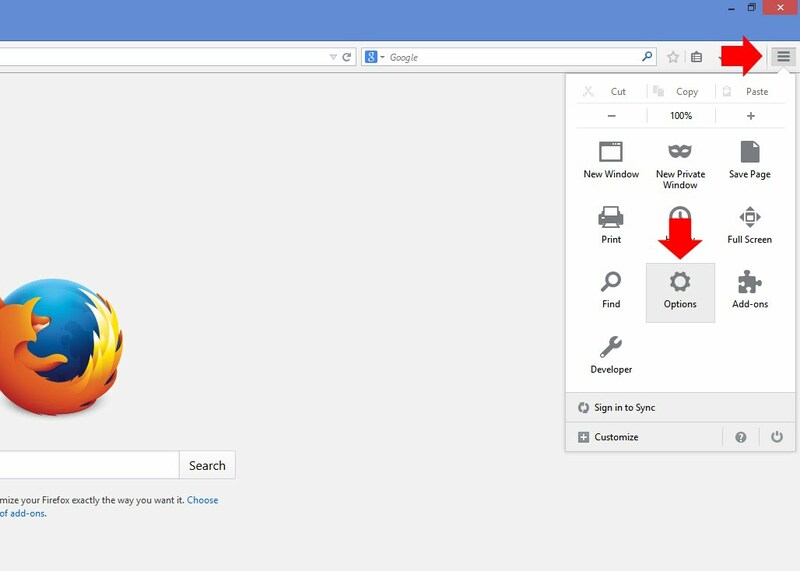 Firefox uses its own storage location for SSL certificates. 1. 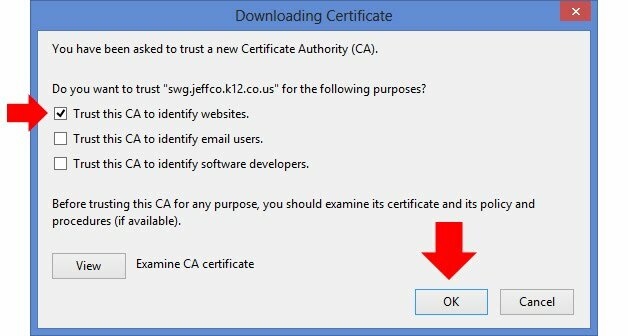 Open Firefox, and download the certificate file by navigating to filter.keokuk.k12.ia.us.crt. You may see dialog boxes as shown below, depending on your browser settings. Otherwise, the file will download into the default download directory. 2. Click on the settings menu icon in the top right corner, then select Options. 3. The Options window will appear. Click on the Advanced icon. 4. Click the Certificates tab, then click on the View Certificates button. 5. 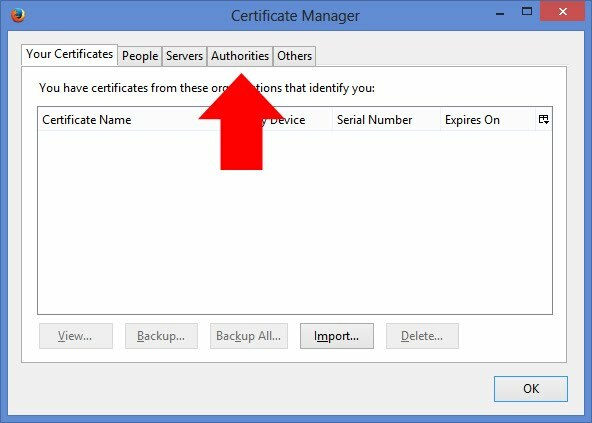 The Certificate Manager window will appear. Click on the Authorities tab. 6. In the Authorities tab, click Import. 7. 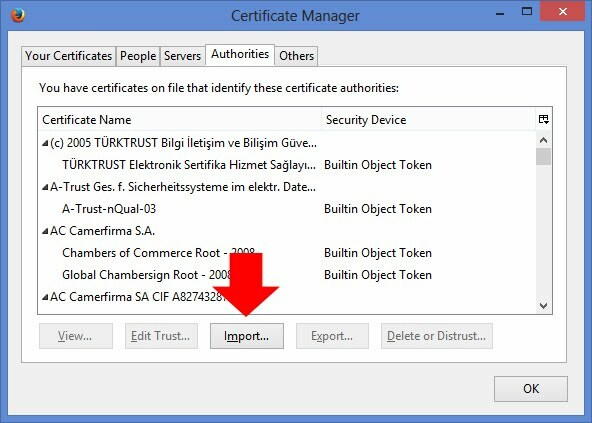 Browse to the directory where you downloaded the certificate file, change the file type to All Files, and select the certificate file. Click Open. 8. Check the “Trust this CA to identify websites” box, and click OK.
9. 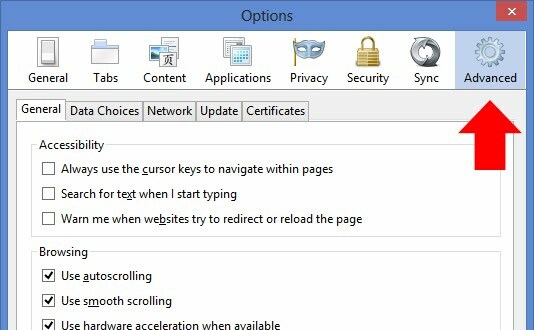 Click OK two more times to exit the settings screens and get back to the main Firefox window.